This app uses Accessibility services. Enter the Immersive Mode. This is the full screen mode! 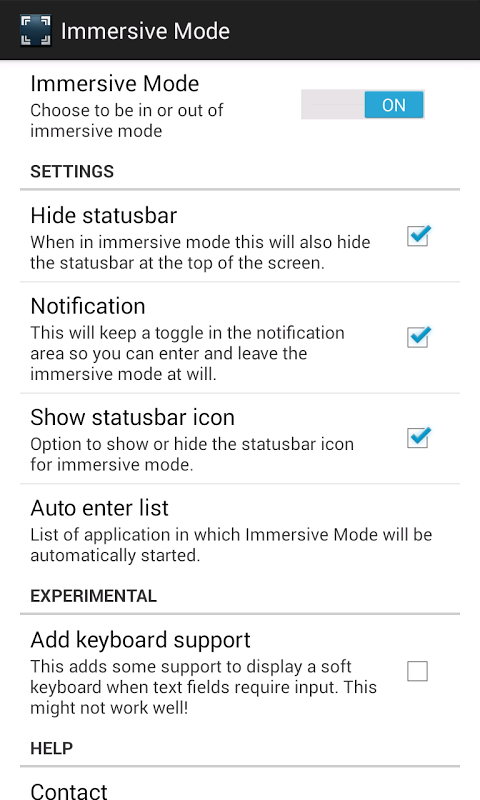 IMPORTANT: * Because of an Android limitation, the keyboard will not work while in immersive mode. But more of your screen can be seen. 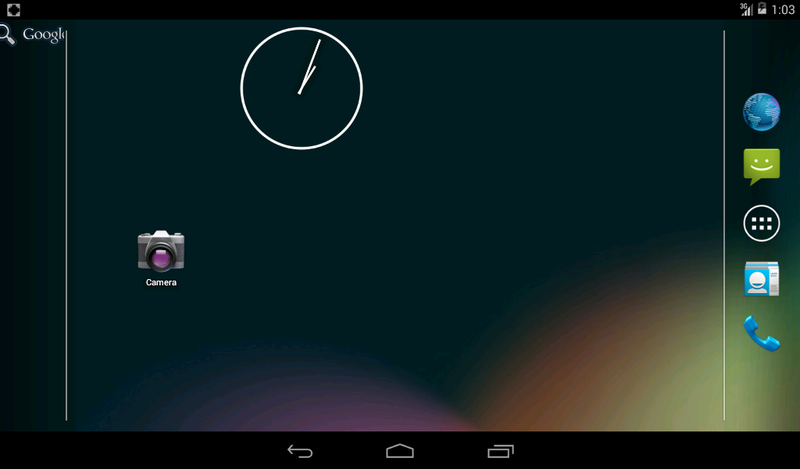 This tool can enter and leave the new Immersive Mode so that you can take advantage of every pixel on your screen. This will thus hide the navigation bar at the bottom of the screen. 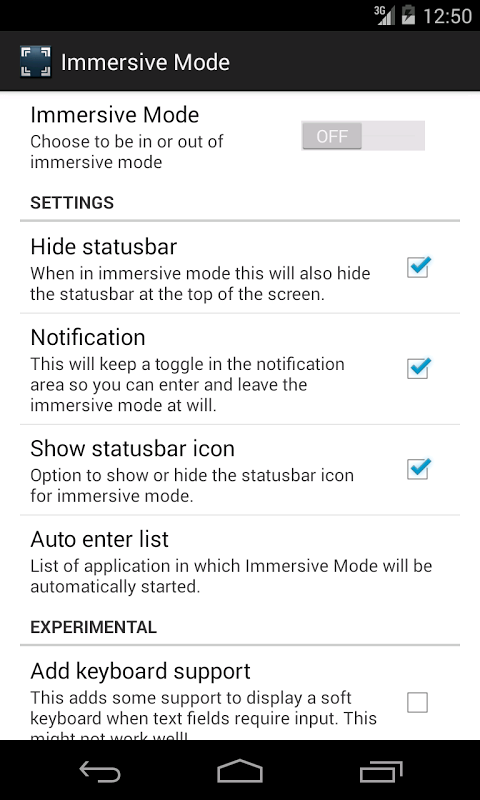 Features: * Enter and leave immersive mode from settings * Enter and leave immersive mode from the notification area * Multiple options on how and when a notification should be displayed * Choose to also hide the status bar on top * Can automatically enter immersive mode on selected applications * Has a blacklist for applications that you rather never have in immersive mode * Contains a widget to toggle the state * Has Tasker/Locale support * Does not require root! So no root is needed, no extra configuration is needed, works out of the box! 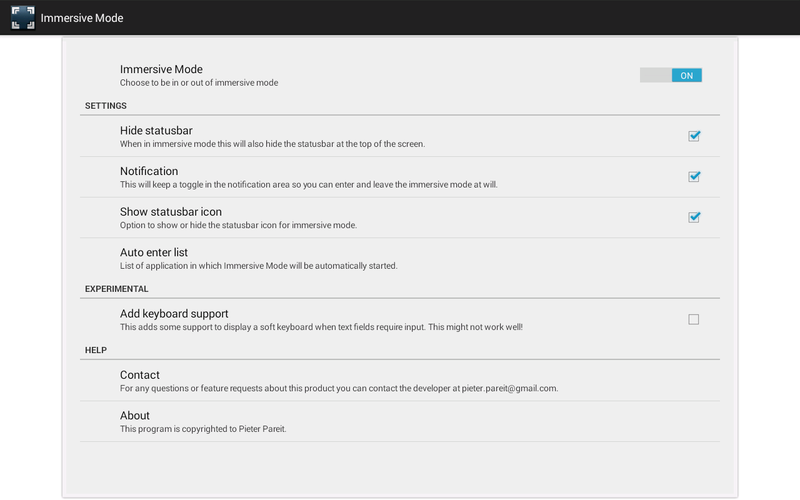 * Public intents - be.ppareit.immersivemode.ACTION_ENTER_IMMERSIVEMODE - be.ppareit.immersivemode.ACTION_LEAVE_IMMERSIVEMODE - be.ppareit.immersivemode.ACTION_TOGGLE_IMMERSIVEMODE are available, for instance to script some action Known issues: * Keyboard only works in certain cases. 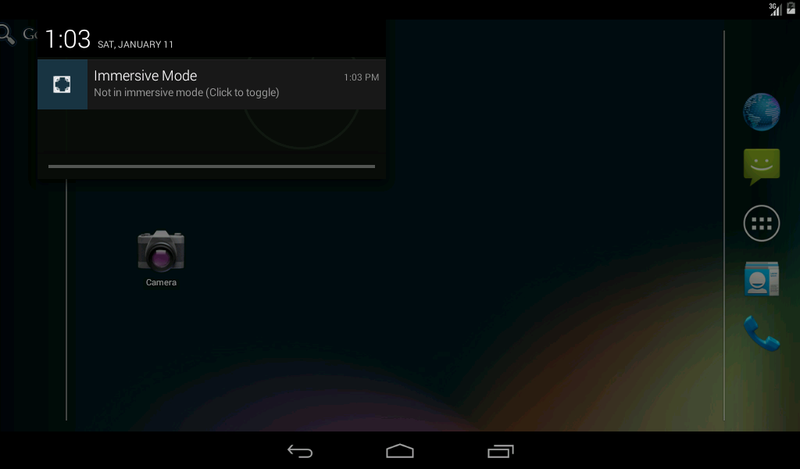 It might be needed to exit immersive mode for certain applications to use the keyboard. This is a security feature of android. * Some applications can't handle switching to immersive mode. Those applications don't follow the normal design guidelines of android. Mostly games have this problem. Contact: For any questions or feature requests, contact the developer. 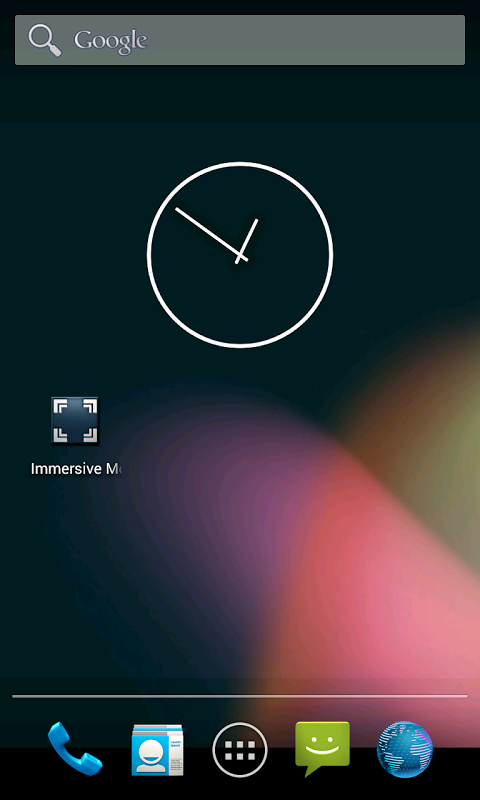  Is Immersive Full-Screen Mode yours? Claim it!